An emergency cooling system at Diablo Canyon nuclear power plant may have been inoperable for a period of a year and half, according to a Nuclear Regulatory Commission finding. The NRC slapped PG&E with a citation over the matter. On Thursday, the NRC announced it issued a “white finding” for PG&E’s low to moderate safety violation. NRC inspection findings are categorized as green, white, yellow or red, with green being the least severe and red being the most flagrant safety violation. During a test conducted in May, workers discovered a maintenance problem that rendered one of Diablo Canyon’s Unit 2 cooling systems inoperable. The cooling system had been inoperable for an extended prior of time, possibly dating back to Oct. 2014, an NRC press release states. Both reactors at the nuclear plant are equipped with two emergency core cooling systems. Unit 2’s second cooling system was available, if needed, while the one was not functioning. PG&E has corrected the problem with the cooling system, NRC officials said. Yet, the NRC has yet to conduct an inspection to verify that the cooling system is operating properly. An inspection is planned at an undisclosed date. If this were an urgent thing, the NRC would be back there ensuring everything is working. This doesn’t seem conspiratorial to me. Maintenance happens out there often. Quick! 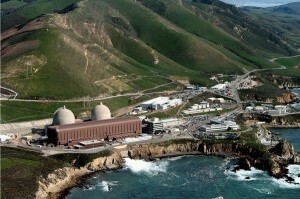 Shut the plant down immediately and give San Luis Obispo another reason to extort PG&E. Unfortunately it’s we the taxpayers and rate payers who are being extorted. Each unit (reactor) has two emergency cooling pumps for a total of four at Diablo. Last May (unit 2 refueling outage) is when this malfunctioning switch was discovered. A lot of preventative maintenance and testing occurs during this time, hence why this was discovered then. Only one pump out of the two was found with a defective switch so there was always one emergency pump ready if needed. That is why there is redundant features when safety is concerned.